Audemars Piguet Next Gen. Royal Oak Concept "Acoustic Research"
Audemars Piguet (AP) has been producing timepieces for over a century, and from rappers to hedge fund managers these are some of the most popular high-end watches on the market. 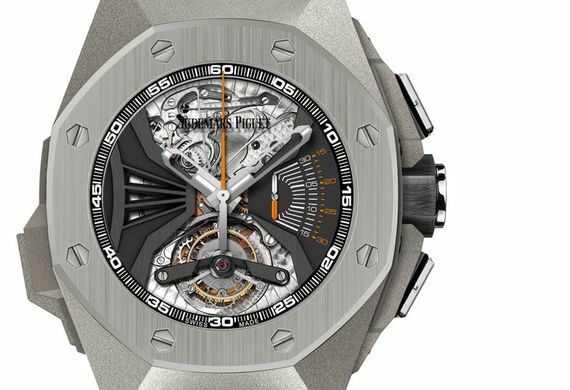 The latest from AP is this “Royal Oak Concept Acoustic Research” that takes the “minute repeater” function to a whole new level. For those of you who don’t know, a minute repeater is a watch that when a button on the left side (usually) is depressed the watch will chime a series of tones that reveal the time, a clever trick and novelty that has been a staple of complicated watches. AP has turned things up a notch though, taking a subtle “chime” to the next level, using musical instrument making techniques and acoustic research to make a minute repeater loud enough for a room of people to hear, all the while keeping the watch water-proof, because that’s exactly what I want from my minute repeater watch. 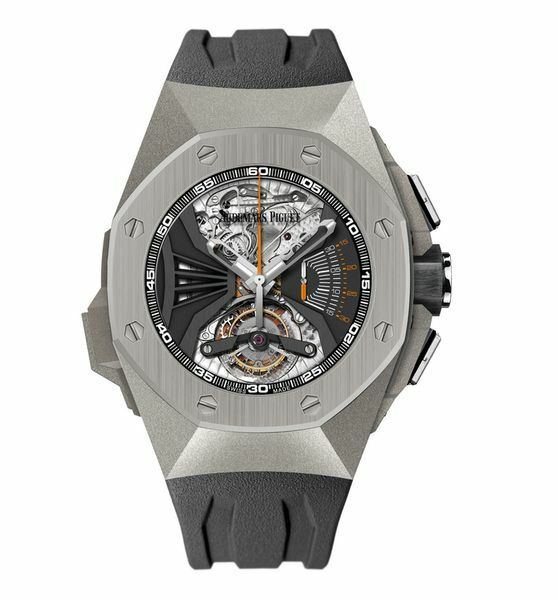 AP’s “Concept” line is the top of the top with their last iteration, the tourbillon, finding itself permanently on the wrist of Pharrell Williams amongst others. No release info but expect to see in-depth pics starting in January during the annual SIHH show.